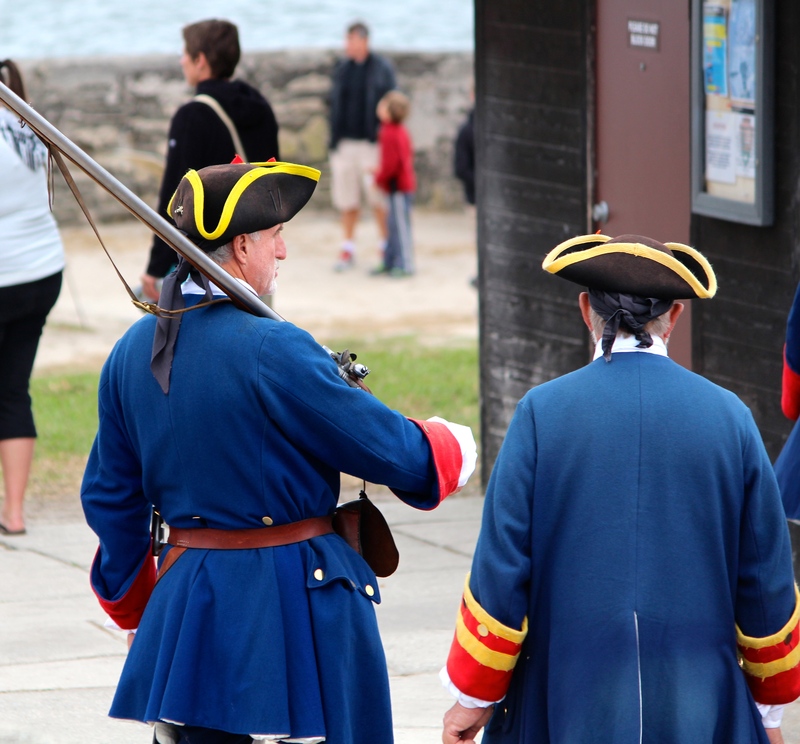 Coasting: Scenes from Castillo de San Marcos | Oh, the Places We See . . . If you’re the oldest masonry fort in the continental United States, you deserve to be seen, climbed on, photographed, and written about. Right? Well, we think so. Of the three forts we toured (Fort Frederica in St. Simons, Georgia; Castillo de San Marcos in St. Augustine, and Fort Clinch in Fernandina Beach, Florida) during our trek along the coasts of Georgia and Florida, this one — Castillo de San Marcos — dwarfs the others with a mostly intact hollow square and diamond-shaped bastions at each corner. It stands today mostly as it did over 300 years ago as a fortress capable of protecting the people of the area. Facing the waters from the left bank of Matanzas Bay, the Castillo held a superior vantage point. 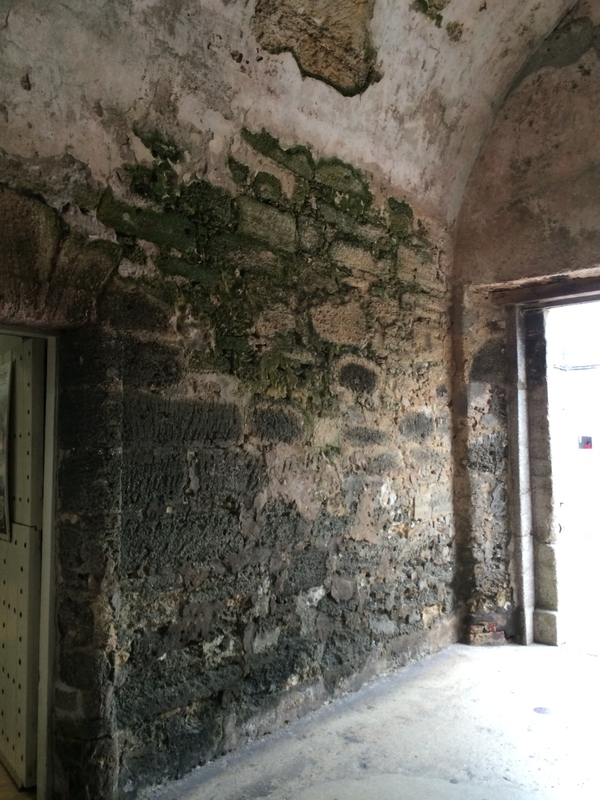 And the sturdy, thick walls of a thick sedimentary rock called coquina (Spanish for “small shells”), became a primary factor in protecting St. Augustine from pirate raids and Spain’s major rival — Great Britain. Built by the Spanish after watching Sir Francis Drake and other pirates attack St. Augustine over the course of many years , the Castillo was begun in 1672 and completed by 1695, replacing nine previous wooden fortifications. Its greatest test came during the War of the Spanish Succession when the English occupied St. Augustine, burning the town before they left. But the Castillo remained unscathed even after 50 days of attack, making it a symbol of the strength and endurance of what was to become new St. Augustine. 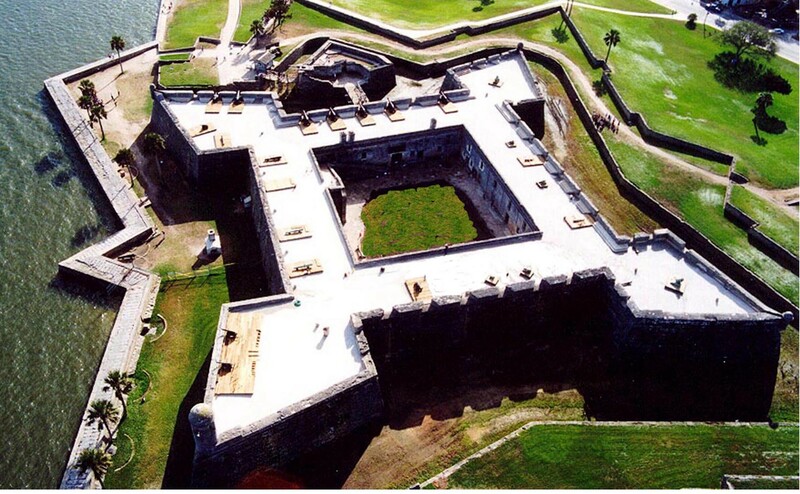 Although the fort has been called by many names, the original name of Castillo de San Marcos was restored in 1942. 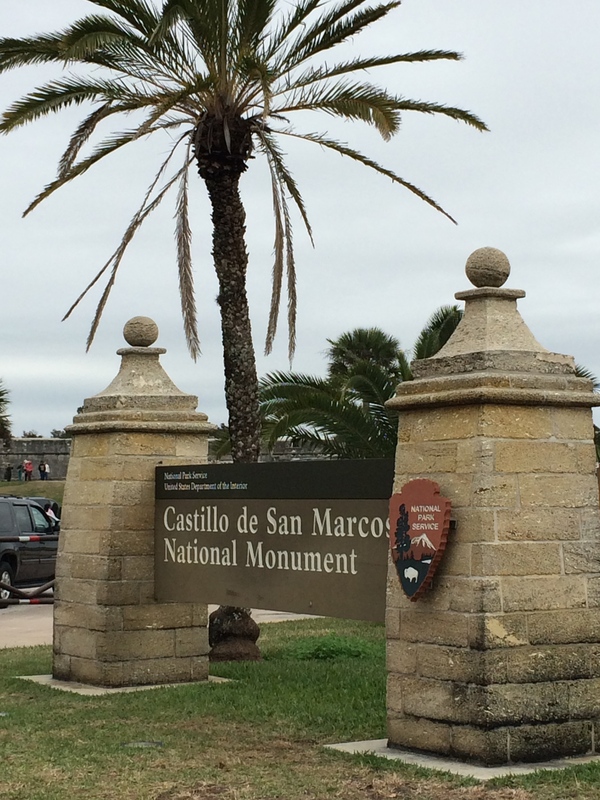 Now a part of the National Park Service, Castillo de San Marcos National Monument is open to the public every day except December 25th. 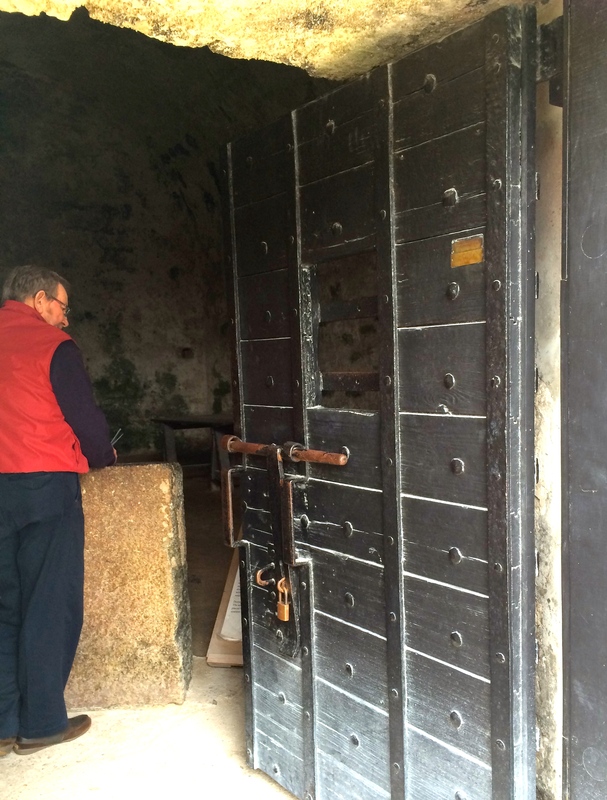 We took our time looking inside rooms that once held soldiers who normally stayed in their own homes in town but came in for rotating guard duty. And as usual, we stopped to read information posted in the guard rooms, storage rooms, and powder magazine. 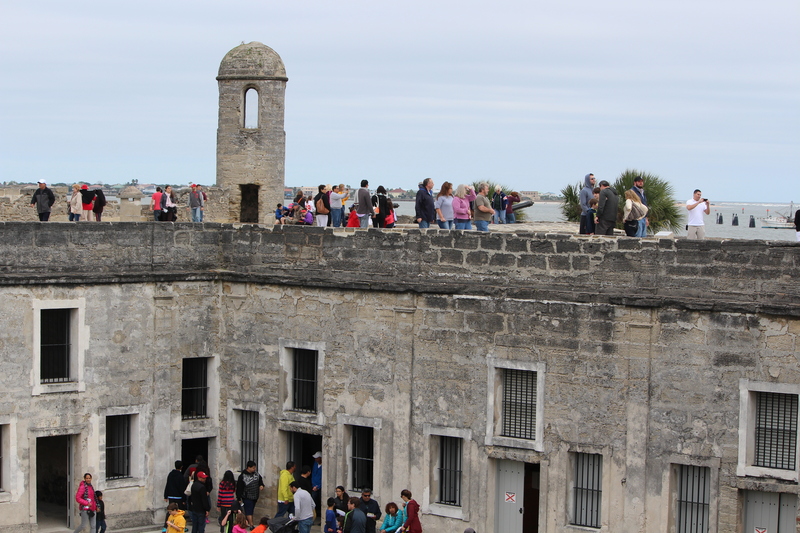 Outside on the upper level, we walked the bastions taking a closer look at beautifully wrought cannons, a thick-walled bell tower, and peaceful views of Matanzas Bay. The aging structure of the Castillo offers scenery not just of itself but distant glimpses of towers and rooftops of St. Augustine. The Castillo offers something for every age group. And ever-ready rangers give talks as small groups of visitors crowd around to learn more. 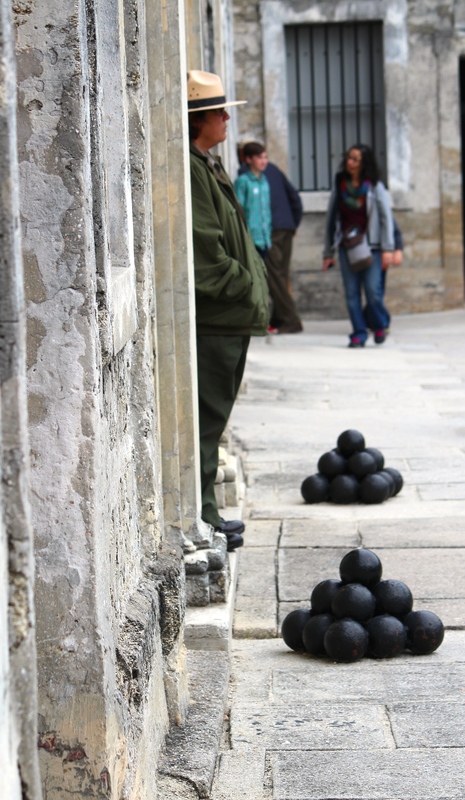 Of course, we think touring the Castillo de San Marcos is one of the six must-do’s of the area. But don’t take our word for it. Look up some information. Take a gander at your schedule. 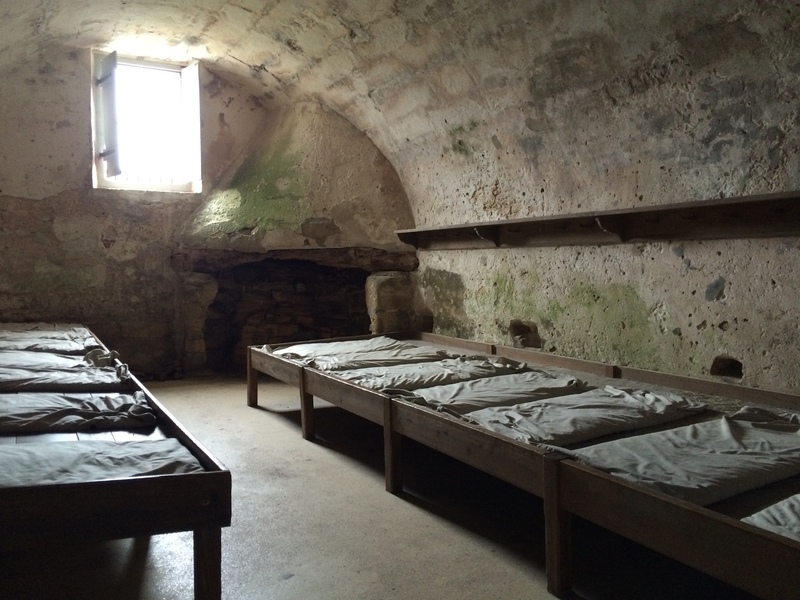 And see if you can find time for this memorable glimpse into the history of St. Augustine. You’ll be glad you did. For more posts in our Coasting series, click the picture of the pelican in the right-hand column of this blog. Or go to the Page at the top labeled Travel Series — Coasting. Thanks for traveling the coasts of Georgia and Florida with us! 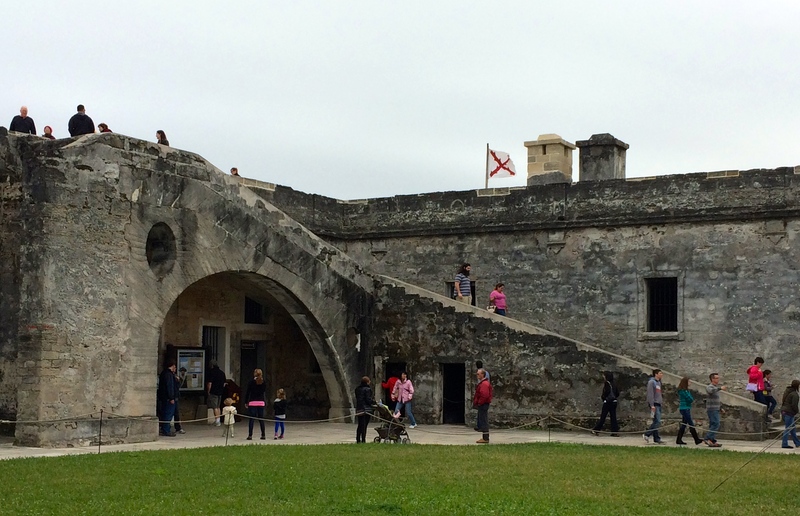 This entry was posted in Coasting, Florida, Travel and tagged Castillo de San Marcos, coquina, Matanzas Bay, St. Augustine. Bookmark the permalink. We were pretty amazed at the cannons, too. And the stacks of balls around, I’m just glad I didn’t have to live and fight back then. Would be on the casualty list early on! Awesome post, and I love your photos! Thanks so much. It’s great fun trying to photograph old places — so much aging color, etc. I also loved the view from the top — the city, the water, etc. Thanks for commenting! It’s a remarkable place. 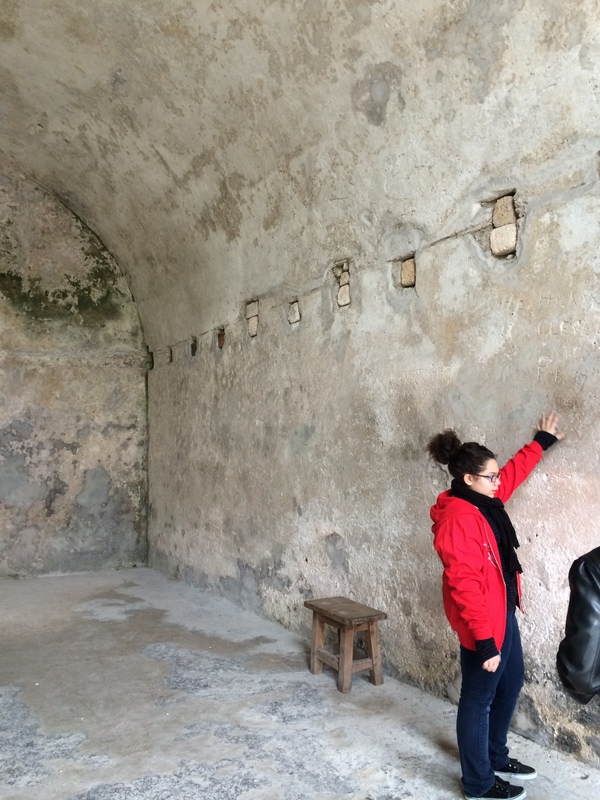 But the fact that you can touch the walls, experience the living quarters, and get great views from the top sold us on this as a true destination. I’d love to see Puerto Rico’s fort, too!